Peel Regional Tactical Paramedics are a group of specially trained Paramedics that work along side the Peel Police Special Weapons and Tactical (TAC) team. TAC medics respond to high risk calls involving the Police TAC team, providing medical support in the "hot" zone. When not assigned to a TAC call, these Paramedics respond to normal 911 medical calls within the Region as part of the daily vehicle count. Presented as a concept design in 2009, Peel Regional Paramedic Services launched the Rapid Response Unit (RRU) program in 2011.The program's objective is to have a single paramedic in a vehicle, positioned in strategic high call-volume location, during peak demand times and ready to move quickly in response to a call.Up to 8 rapid response units are on the road 365 days a year during the peak call period between 10 am and 10 pm. The RRU program works together with regular ambulance dispatch and patient care is transferred to the ambulance when it arrives.This frees the RRU to be available for another call. The Rapid Response Unit program has become an important part of the paramedic system in Peel helping to ensure that a paramedic arrives on scene in the critical minutes after a call is placed. The Peel Paramedic Honour Guard is made up of Volunteers. The purpose is to provide a formal presence at special events and presentations. 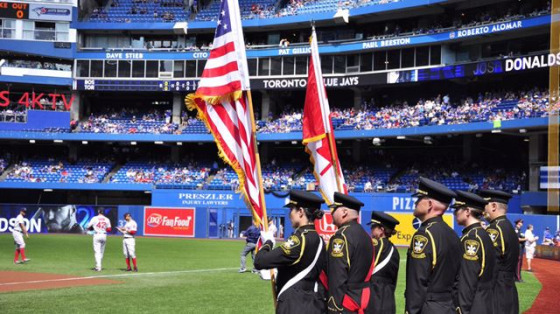 In addition to attending Funerals, the Honour Guard can be seen at Remembrance Day ceremonies, Governmental events, and our Honour Guard was chosen to represent First Responders at the 2016 9/11 day at the Toronto BlueJays game at the Rogers Centre, in Toronto.